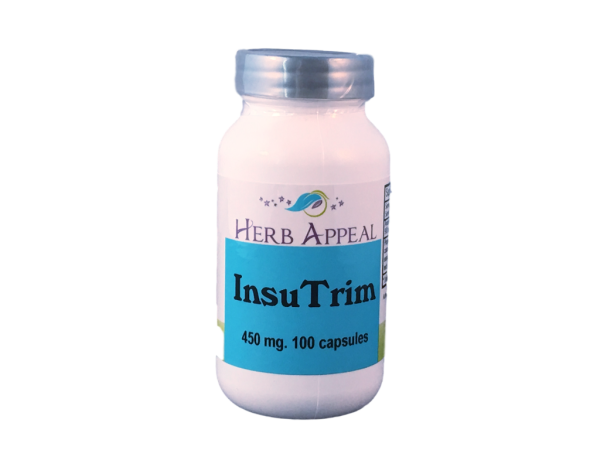 Insutrim is our formula to support healthy function of the pancreas gland. That is the part of the body in charge of secreting insulin, a hormone that affects blood sugar. When we eat refined sugar and junk food our pancreas has to work really hard to keep insulin levels happy, and this formula supports the healthy function of the pancreas. The first ingredient is Cedar Berries, and they are known and documented for their support in maintaining healthy insulin levels in the body. The second ingredient is Licorice root, which was chosen as the Medicinal Plant of 2012, and has been found to help reduce blood sugar. This combination of herbs is good for those trying to maintain healthy blood sugar levels, and many of our customers swear by it to help them shed unwanted pounds.